Walter Mazzarri refuses to scold Troy Deeney for the disco incident that happened last night. As per the coach, he has had a chat with his player who let him know the circumstances that led to the incident and after hearing him; he didn’t feel as if he was at fault at all. Continuing further, Mazzarri opines that if someone’s name has been in a controversy in the past, it doesn’t mean he has lost his rights to hang out with his partner. It just needs to be understood that everyone has a personal life and it depends on them what they want to do with their personal lives. They should be given their own space. In Mazzarri’s view, as soon as Deeney made it clear to that person that he was not interested to be photographed at that point in time, he should not have been pushed to do so because it’s not mandatory for a celebrity to agree for a photo whenever someone asks him for that. 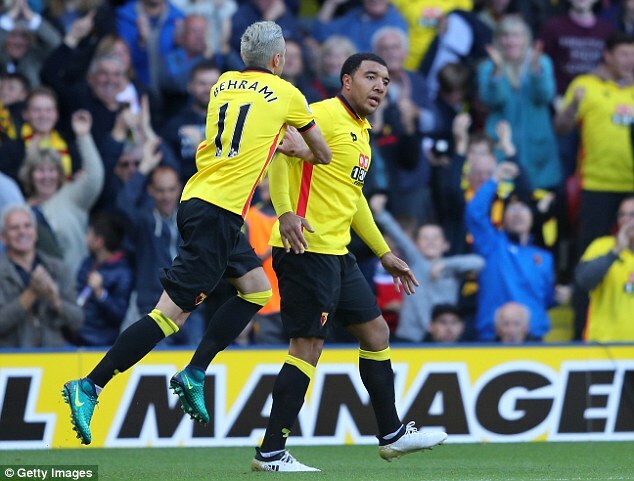 Mazzarri reckons that there may be a few people out there who are not able to digest the fact that Deeney has scripted a smooth comeback for himself after being put behind the bars some time back and that’s why they are looking for different ways to annoy him. On asked if the striker should have got as aggressive as he did despite the provocation that was there, Mazzarri says that any person in the world can lose his temper in that given situation. If he is there to enjoy himself and he is being disturbed repeatedly and intentionally, how is he supposed to tackle it? However, Deeney, being a sensible man, would have learnt a lesson and would probably try and hold himself as much as he can if any such situation arises again in future.